Hey it seems even the price of land was kind of reasonable? Hmmm… the ole days? So…RealEstate, as an investment….I ask you the investment question? After all ….isn’t it the only investment you and I will make that WILL immediately/directly protect / house / habitat our loved ones, isn’t it? Or am I wrong………and will shares in Apple or Google or Telecom or P&G have a similar risk, and do that too? 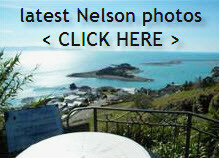 This entry was posted in Buyers, General, Nelson, Sellers, Stats / Sales Data, The Market, Uncategorized and tagged Buyers, buying, market, marketing, Nelson, NZ, Sellers, selling, stats, valuation on September 21, 2012 by David Leggott.